Surfside Beach is a small seaside community nestled in the heart of South Carolina’s Grand Strand. It encompasses two miles of pristine beach, enjoys a temperate climate and is both an active residential community and a thriving vacation destination. Surfside Beach strives to maintain a small-town, slow-pace, friendly environment for its residents and guests. It is a quiet haven close to all Grand Strand attractions with a Town-owned fishing pier, water-park, supermarkets, mini golf, and restaurants. 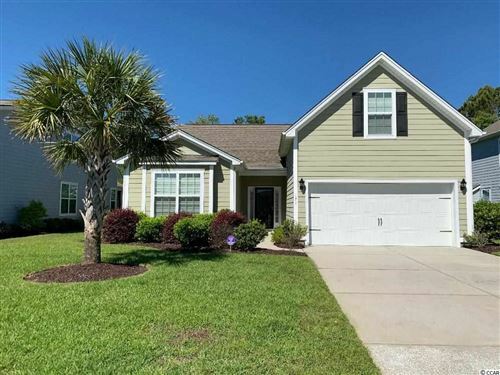 This piece of paradise, just a short walk or golf-cart ride away from the water, make Surfside Beach and a coastal Carolina home a great real estate investment. RE/MAX Southern Shores agents know the Surfside Beach market and properties, so they can find the perfect condominium, townhouse, investment property or year-round residence YOU are looking for! RE/MAX Southern Shores sells Surfside Beach real estate! Welcome to the search page for RE/MAX Southern Shores where you can find a highly qualified and trained Surfside Beach real estate agent! On this page you can input your specific needs to search all of Surfside Beach, South Carolina real estate to find the perfect property for YOU. There are thousands of homes and condos owned for the sole purpose of attracting weekly vacation rentals. Surfside Beach can be the perfect Myrtle Beach location to invest in rental property. Use the form on this page to search Surfside Beach real estate listings or choose one of the links to learn more about other Grand Strand communities. RE/MAX Southern Shores agents sell both residential and vacation homes in this quiet section of the Grand Strand where newly constructed, pastel colored beach houses dot the shoreline of this quaint, seaside town. When you call 843-839-0200 you will get to talk with a RE/MAX Southern Shores agent who will find the home, condo, vacation home, investment property, or land that YOU are looking for. If you have any questions, please contact our office at 843-839-0200 where RE/MAX Southern Shores agents are available every day to assist with all your Surfside Beach South Carolina real estate needs. We’ll help you navigate the touring, selection, negotiation, and purchase process for the property that is perfect for YOU!